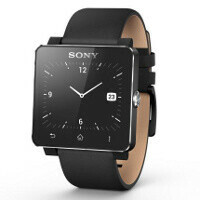 Sony has just unveiled its impressive water-proof phablet, the Sony Xperia Z Ultra, but along with it comes an accessory that many have been waiting for - the Sony SmartWatch 2 SW2. The new SmartWatch 2 allows you to check your calls, messages, emails and notifications without reaching for your smartphone. It's got a 1.6-inch 220 x 176-pixel touchscreen and a gorgeous aluminum body. Moreover, it is water-resistant (IP57 certification) like the Xperia Z Ultra. It will of course work with other Android smartphones as well with the requirement being they feature Android 4.0 or newer, but it will not be compatible with the iPhone or iPad. The user interface of the gadget has been overhauled to better work with touch and be closer to that of Android. The new Sony SmartWatch comes with 200 applications from the start and an open API for developers to bring their own apps. You can also control your music with it and connect it to a Bluetooth headset via NFC to receive and end calls. The battery life of the device is said to be around four days and it charges via standard microUSB. The Sony SmartWatch 2 SW2 comes in a variety of colors for the strap and actually you can just use any standard 24mm watch strap. It - of course - works as a standalone watch as well. The smartwatch is coming this September in black and the price is yet unknown. I threw my money at the screen and nothing happened ! I threw my credit card and now it's broken. Problem, JP Morgan? Looks elegant, but if you look at the specification it states: NOT suitable for showering, bathing, swimming, diving, snorkeling, water related work and fishing. So, the title should be changed to splash resistant not water resistant. It's a warning to those who are fool thinking that gadgets are like toys that you can leave anywhere.. Wonderful, only not a word about battery life which is what normally kills the deal with this kind of gadgests. I using the current version, the battery life is 2 to 3 days. Very useful for me as i pair it with my galaxy tab 7.7. The only negative is that the strap break quite easy but they include an adapter so i could buy my own 20mm leather wrist straps. z ultra has its accompanying bluetooth headset that has FM radio. you can use that. or just grab those water resistant earphones from sony with mp3 player. they cost around $50 only. I'm waiting for the Samsung Galaxy Altius.